The photo above was taken June 4, 2011, around 9 p.m. approximately a half hour before sunset. Because the lighting at that time of day was not favorable I took eight photographs at different exposures and put them all together in a process called tonal mapping creating this HDR or High Dynamic Range photograph. Click on the photo to see the scene before tonal mapping. 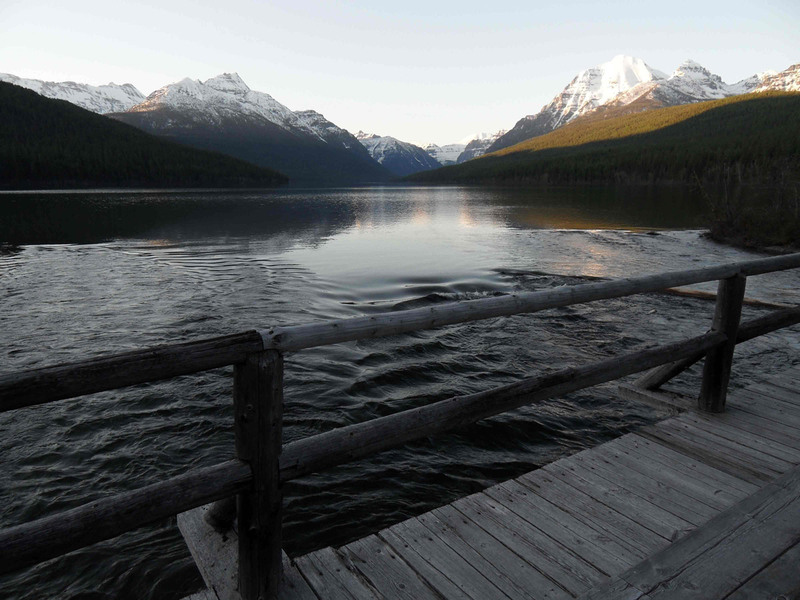 The image is of Bowman Lake in Glacier National Park, Montana. Glacier was designated the tenth national park in the U.S. in 1910. Twenty-two years later the park was combined with Canada's Waterton Lakes National Park just across the border creating the world's first International Peace Park. Much of the geology in the park is the result of glaciers from the last ice age working upon sediments laid down about 1,600 to 800 million years ago during the Mesoproterozoic age. Photo details (original photo): Camera Maker: SAMSUNG; Camera Model: SAMSUNG WB1000 / VLUU WB1000 / SAMSUNG TL320; Focal Length: 4.3mm (35mm equivalent: 24mm); Aperture: f/3.6; Exposure Time: 0.0080 s (1/125); ISO equiv: 80; Exposure Bias: none; Metering Mode: Matrix; Exposure: Manual; Exposure Mode: Manual; White Balance: Auto; Flash Fired: No (enforced); Orientation: Normal; Color Space: sRGB.